First, Hunter Hayes teased us with new music to bless playlists everywhere, but that wasn’t enough. What fans really in their lives was a new tour, and, Lord and behold, Hayes was keeping a close ear to his fanbase. 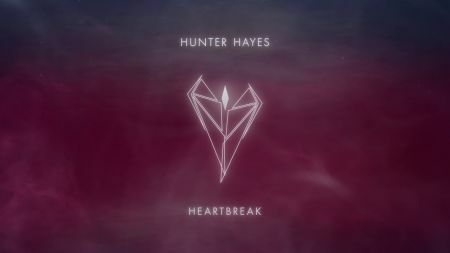 Along with releasing the fantastic new single “Heartbreak,” Hayes has teamed up with Grammy.com to announce the Closer to You Tour spring tour, which was announced via video (check out the video below). In the announcement video, Hayes, who first made his long-lasting mark on country music with his 2011 self-titled debut (which went to number one on the Country Albums chart and number seven on the Billboard 200), promised his fans that this show will not be a tour of the past, though there will, more than likely, be some past hit sung on the tour. The Closer to You tour will be a bridge to the new music that he has ahead and that should thrill any fan since his last album was released in 2015 (The 21 Project) and his base has been craving new music ever since. Now, he’s giving it to them and is definitely right in the world. Here is the complete tour itinerary and ticket information for the Closer to You Tour, and keep in mind that all dates and venues are subject to change. May 11 -- Columbus, OH -- Express Live!